No seriously, with foreign decorations you are just lucky when you can get your hands on a miniature decoration at all. 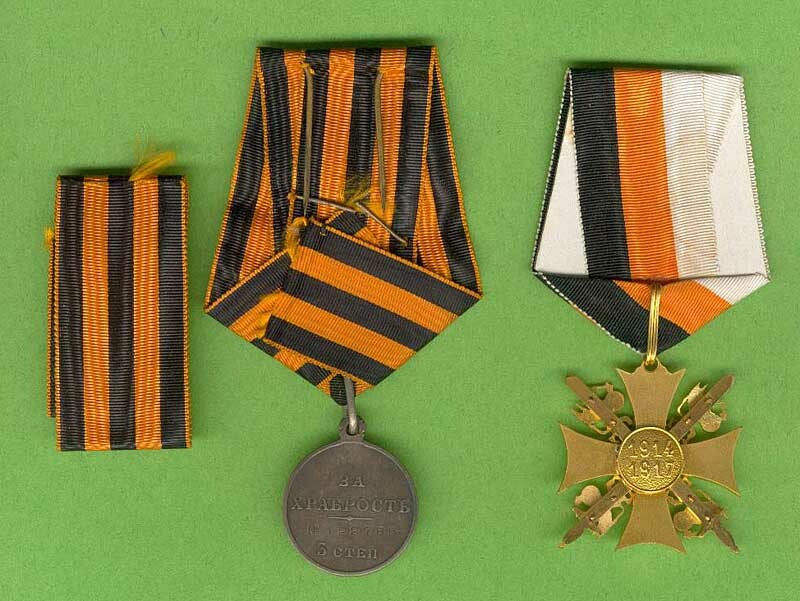 I'm still looking for the miniatures of two foreign medals I hold myself. They're either not available or to large to put in with the rest of the (16 mm) miniatures. 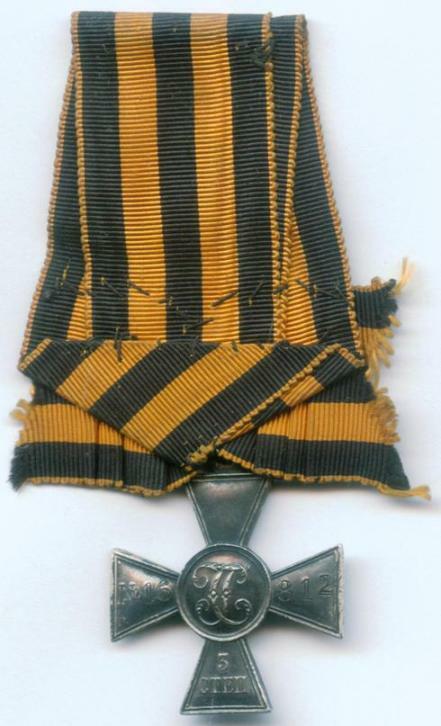 anybody can make the photos of awards of Major Semet ? 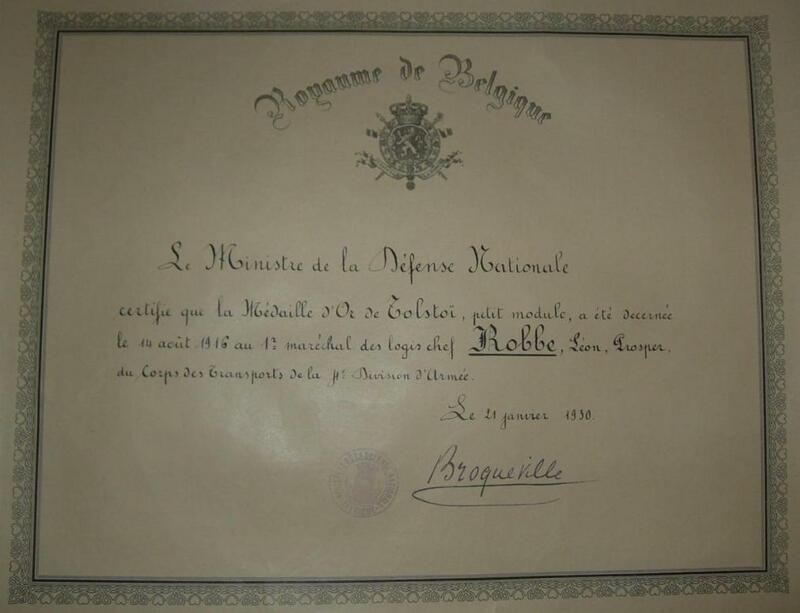 My French is a bit rusty, does the site have a version of this document in Dutch or English? 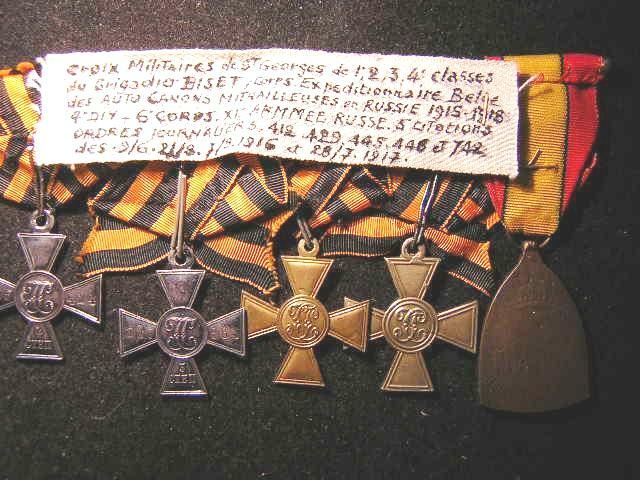 "My" cross 3rd class of Belgian Soldier ! Nice one, You have got the group?? 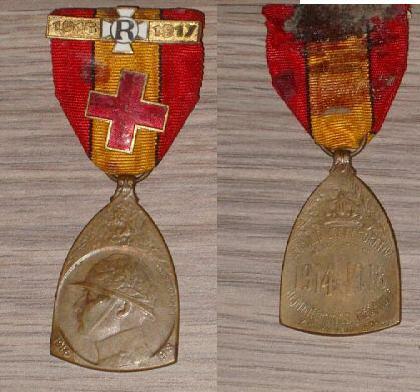 How do you know that this cross belonged to a belgian soldier?? Ahah, so you are the one who made the offer that couldn't be refused and made this one dissappear from the ebay radar. 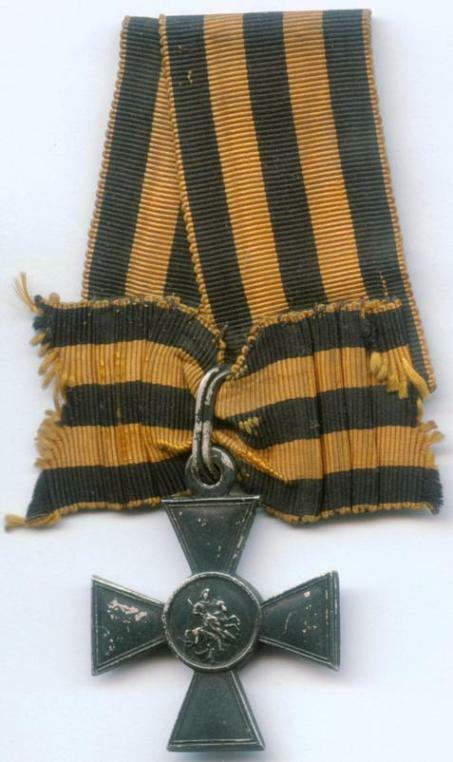 I also wondered why this cross disappeared from eBay. Congratulations! Nice to know it went to a good home. 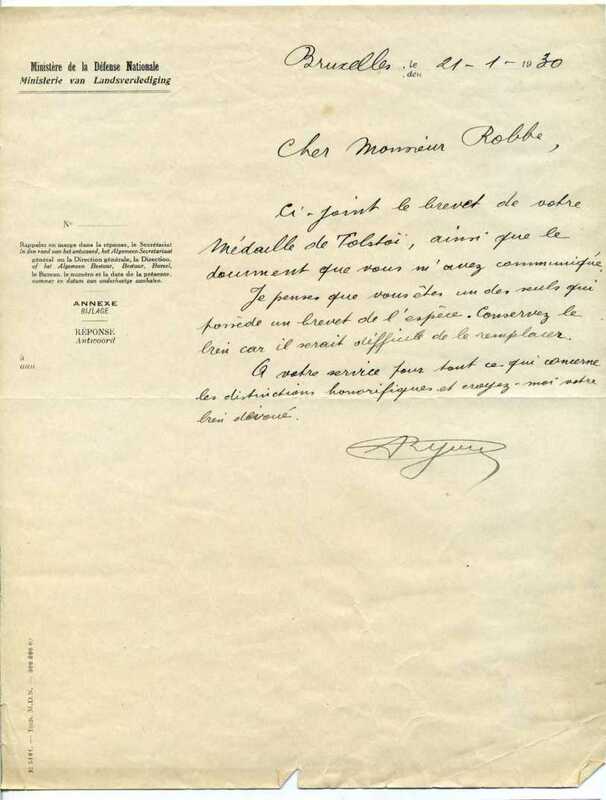 Igor, where you the one who got the group to NCO Biset that was on auction at the Galerie Numismatique in Lausanne about a month ago? I did not like this medals group . And 1st medal MUST TO BE with "RUSSIA" bar !!!!!!!!!!!!! 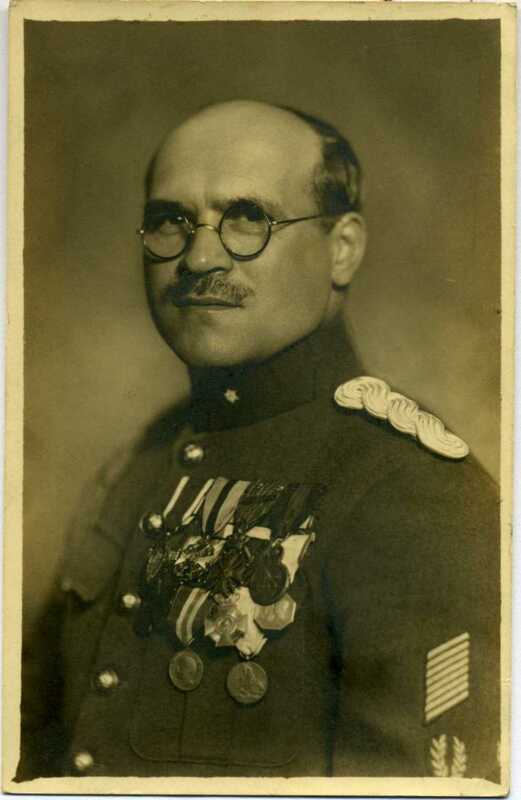 Very nice ensemble, medal, document and pic! 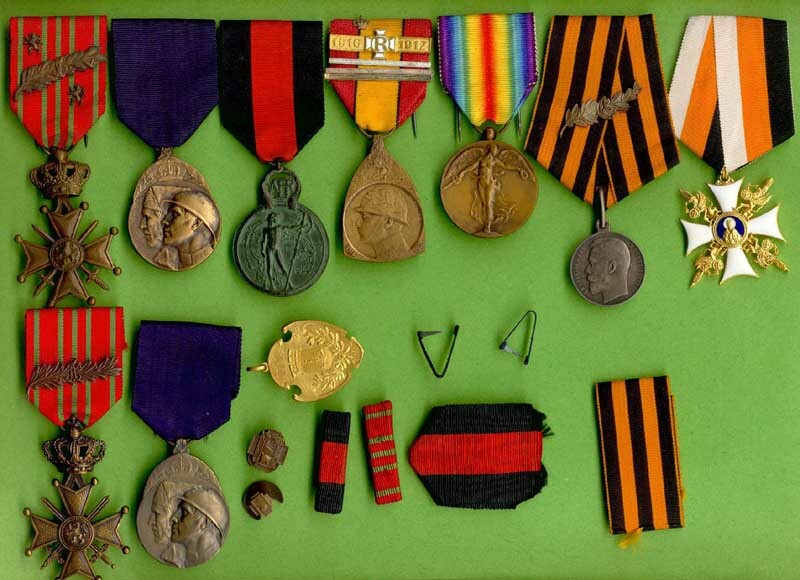 Am I mistaken or is that a British Military Medal as well on the picture, next to the Tolsto? 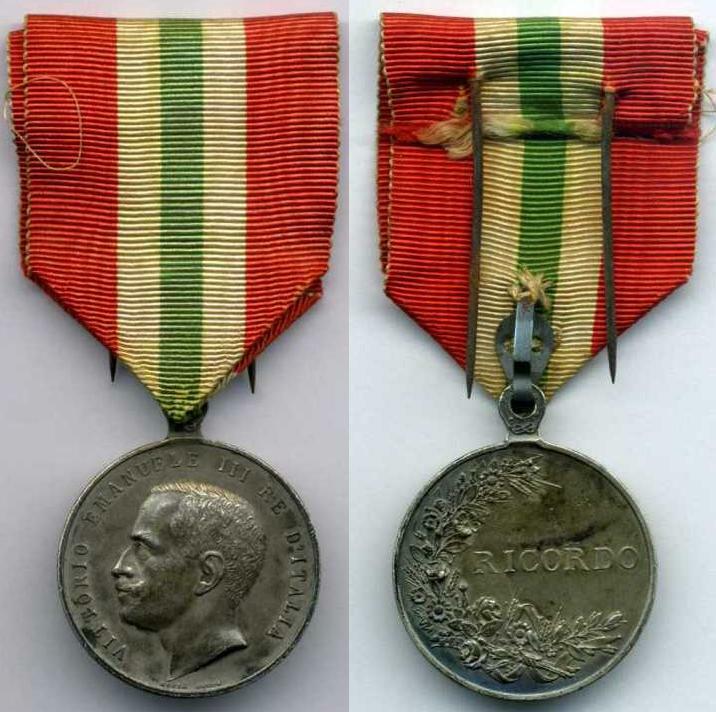 medal? As mentioned in the accompanying letter, that probably is a unique doc. 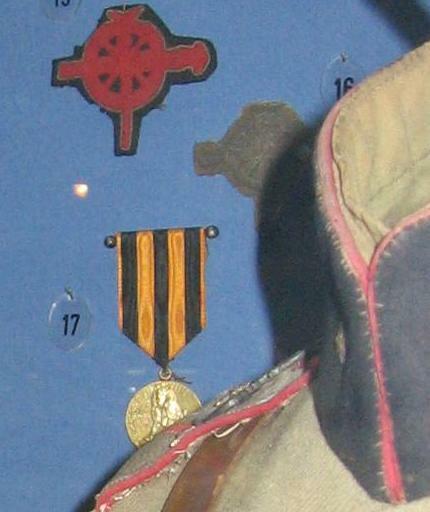 Originally, these medals were not destined to be worn, but many soldiers attached some sort of suspension device and added it to their medal groups. 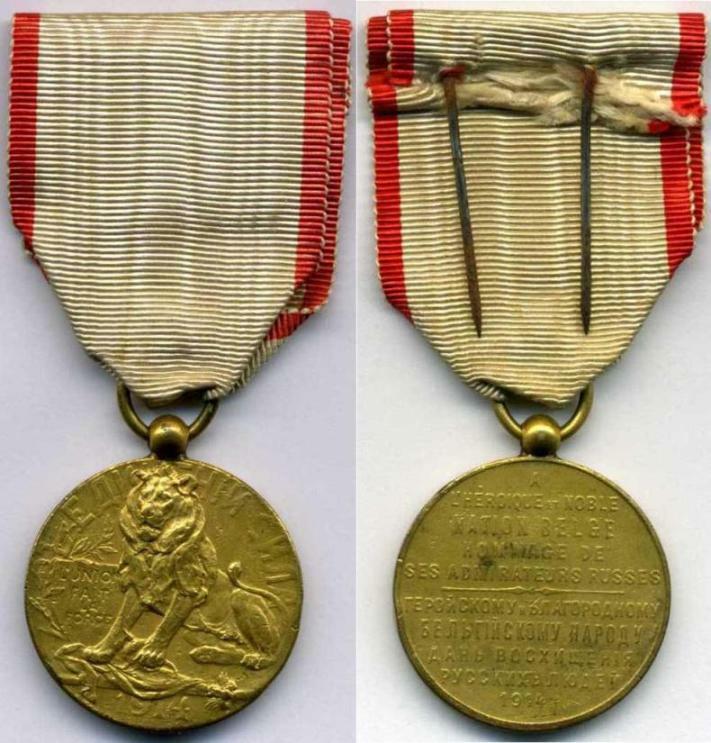 The Military Medal should have a swivel bar suspender and is made of silver. This medal appears to be bronze? 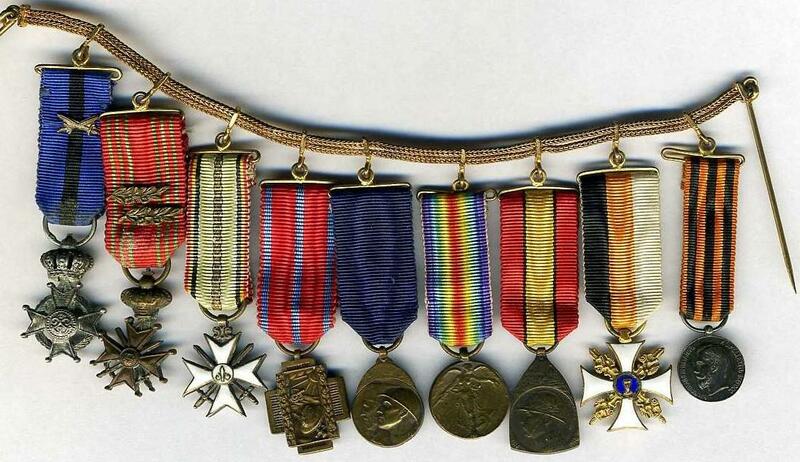 ... many soldiers attached some sort of suspension device and added it to their medal groups. I've also a little group. I think that two groups where merged in the last 90 years, but it's a nice one.